Pop-up "Windows cannot find 'C:\Program Files (x86)\Search Extensions\Client.exe"
"Windows cannot find 'C:\Program Files (x86)\Search Extensions\Client.exe'. Make sure you typed the name correctly, and then try again." 2. 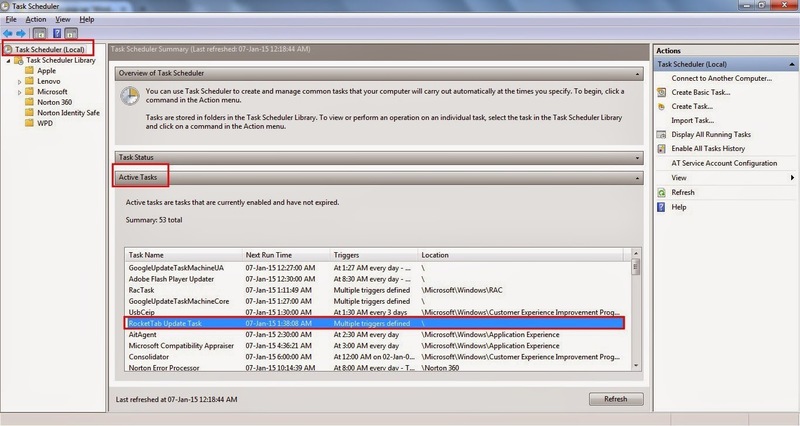 Click on "Task Scheduler (local)" in the left pane, then click on 'Active Tasks'. 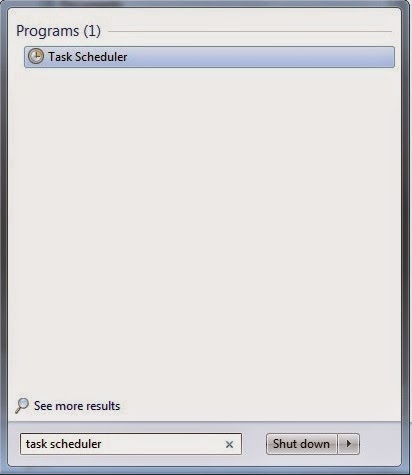 Double Click on "RocketTab Update Task"
If you cannot find "RocketTab" under 'Active Tasks', Look for "C:\Program Files (x86)\Search Extensions in the "Location" field. 3. Select the entries showing "RocketTab", click "Delete". 4.Reboot PC. The popup box and error message should disappear.